Karou is a seventeen-year-old art student with a most unusual family. From his desk in a dusty, otherworldly shop, her mysterious, monstrous father sends her on errands across the globe, collecting teeth for a shadowy purpose. On one such errand, Karou encounters an angel, and soon the mysteries of her life and her family are unraveled--with consequences both beautiful and dreadful. Warning. I'm afraid of writing this review. I don't think anything I have to say will make any justice to this book. I'll try my best. 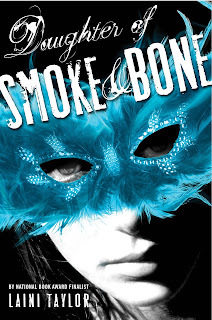 As soon as I started reading Daughter of Smoke and Bone I felt in love with Laini Taylor's writing. She uses words in such a beautiful way, is like eating the smoothest chocolate in the world. The words just melt in your mouth and flow like a sweet river into your brain. The goodness of it all doesn't end just with her writing. The story was incredible. I don't think many authors can pull off what Taylor did with this book. She created a scary yet beautiful world without overdoing it. Last but not least, the characters. From blue hair to inhumanly beautiful Taylor's characters were so amazingly real that I found myself dreaming about them. When I reached the last page of this book I was missing them already. 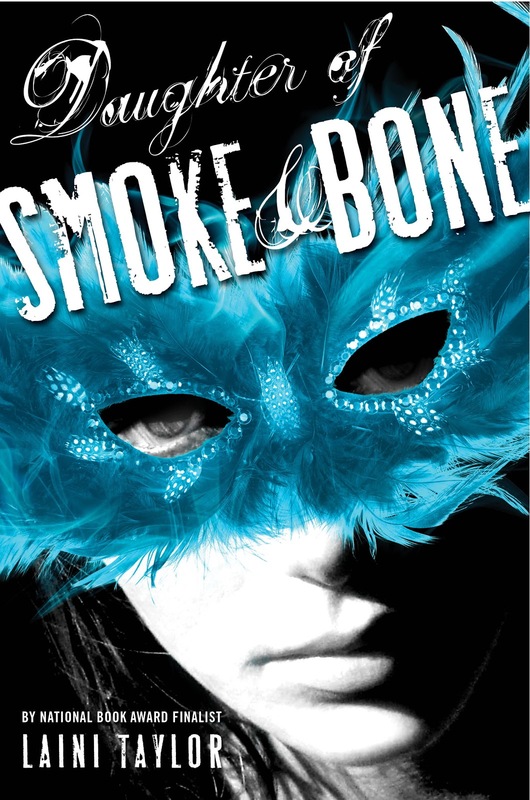 I highly recommend Daughter of Smoke and Bone.